When a firestorm hit Barbara’s hometown of Strathewen in 2009, it was a humble Chook Knitting Project which gave women a way of connecting and brought great comfort to the local school children whose school had been destroyed in the firestorm. 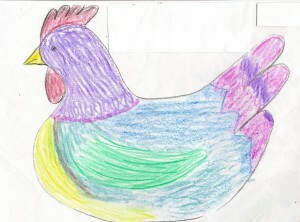 The school children drew the colours and patterns of the chook they wanted using paper and pencil and the knitting group made the chooks using matching colours in the children’s chosen patterns. Barbara was called the Chook Lady by the community. 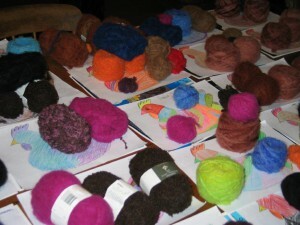 To learn more, you can view a short video on the Chook Knitting project here or visit the blogsite isiiad blog. 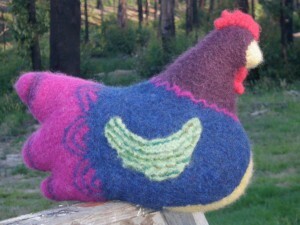 If you would like to purchase the knitting pattern or a kit so that you can knit your own chook, visit this page. This project has grown out of sight, so much so there is a Facebook group that allows people from all around the world to share photos of their knitted chooks for the Chook Knitting Project. You can request to join the group here.